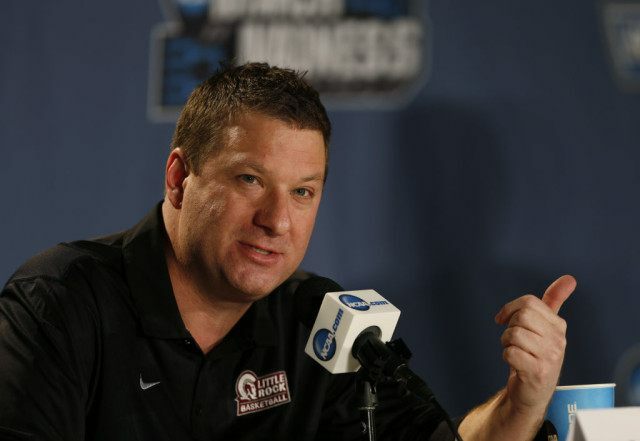 LUBBOCK, Texas (AP) — Chris Beard has met with Texas Tech about its coaching vacancy, less than two weeks after being named UNLV’s coach. UNLV athletic director Tina Kunzer-Murphy issued a statement Thursday saying Beard met with Texas Tech after the school asked permission to speak with him. She later met with Beard, and she said the issue would be resolved by Friday. Beard agreed to a contract with UNLV on March 28 but had to wait 11 days before the school’s board of regents ratified his contract. He became a candidate at Texas Tech on Thursday, when Tubby Smith left Lubbock to become the head coach at Memphis. Beard spent 10 seasons as an assistant at Texas Tech before landing his first Division I head-coaching job at Arkansas-Little Rock prior to last season.